Green Light Creative’s Award-winning Project "The Deck Northshore"
Great architecture starts with a vision. ​In functional terms, the building is a roof that links two connected pods below (housing an amenities block and an information hub). But we delivered so much more: the The Deck's slanted canopy of weathered ironbark boards — made from recycled wharf timbers — ​frames the river, creates shade and connects Northshore’s past to its future. 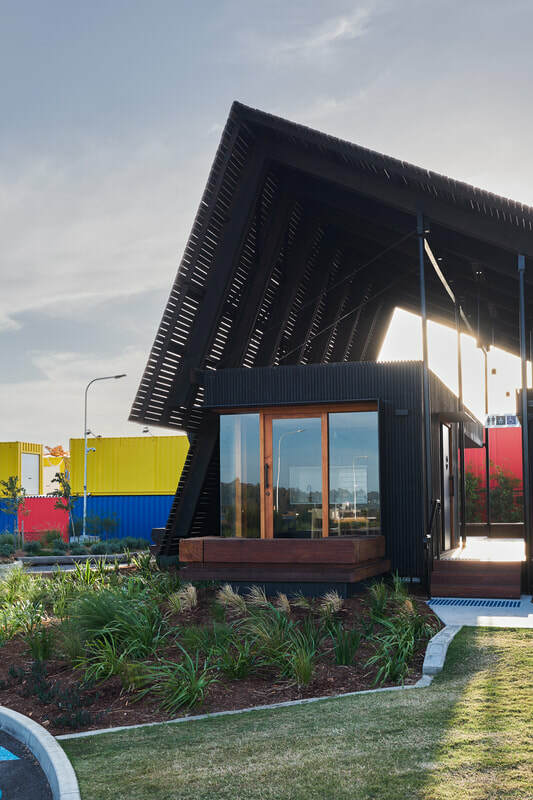 a national award for small projects at The 2018 RAIA National Architecture Awards in Melbourne. 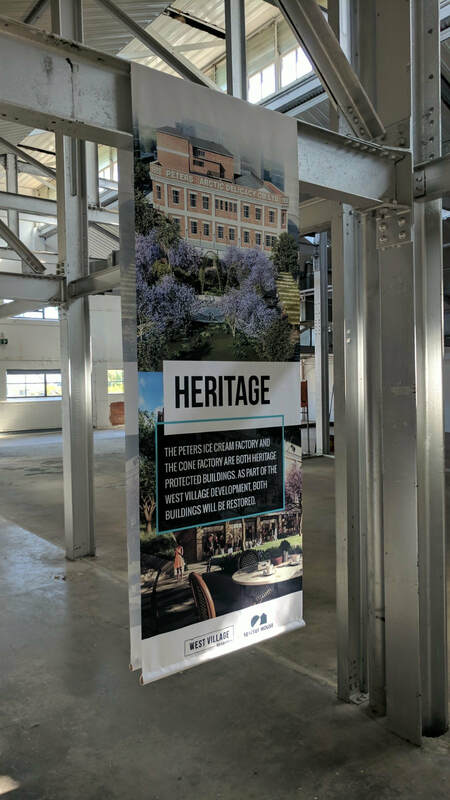 ​For this project, Green Light Creative were contracted to find a solution for our client (EDQ) who wanted a space to communicate their future vision for the Northshore Hamilton site to the public. The building would need to be temporary (able to be removed or moved as the precinct evolves), to fit with both the river and nearby Eat Street, and be functional — housing both an information centre and an amenities block. The project had a tight budget and the site was challenging, but throughout, Green Light Creative worked tirelessly to keep the projecton budget and moving along on time. 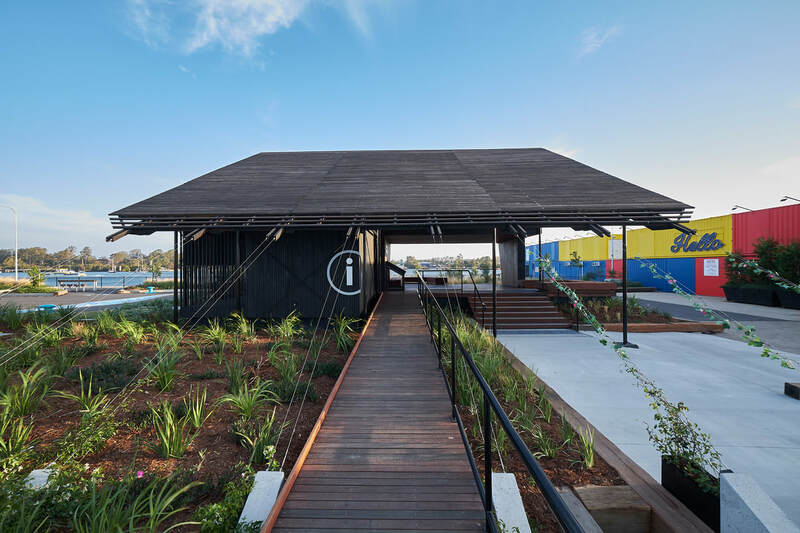 The client was picturing a shipping container fitout to act as an information hub next to the popular Eat Street precinct. 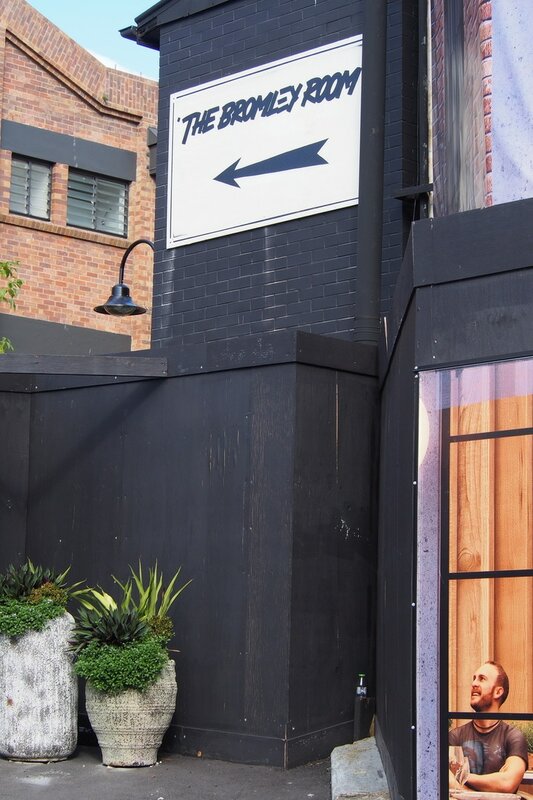 We thought outside the box (outside the shipping container, you could say) and took our inspiration from recycled wharf timbers from the site’s history. 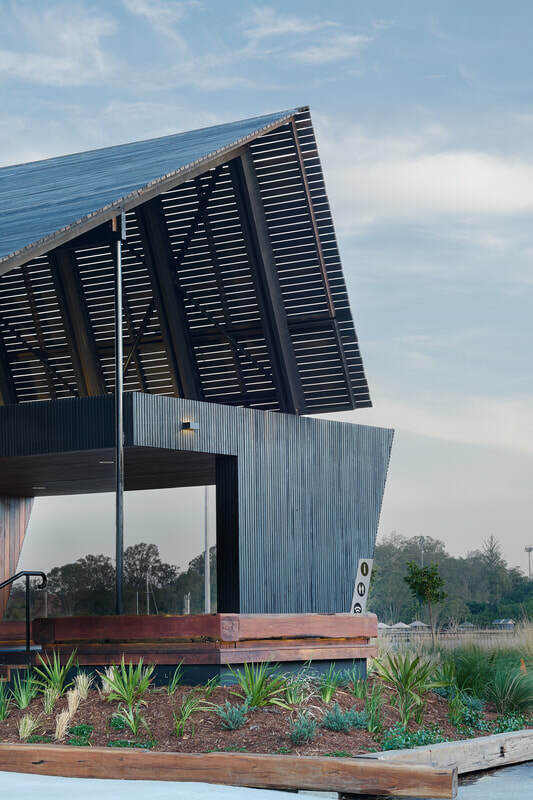 We brought architect Anna O’Gorman on board, and she conceived a stunning small, modular design that ditched the shipping containers and instead connected the building to its site and surroundings by framing the river in the recycled grey ironbark timbers. Anna and Green Light Creative then chose Charles Warren Construction for the build, and the old wharf timbers were processed by Kennedy's Timber. To bring the architect’s vision to life, we managed all suppliers and the team worked under challenging site conditions to deliver a breath-taking, award-winning outcome. The efforts of this team were second to none and choosing this dream team certainly taught us a lot and ensured that an amazing end product was delivered! We were truely fortunate to find such talent to bring onboard for this project. 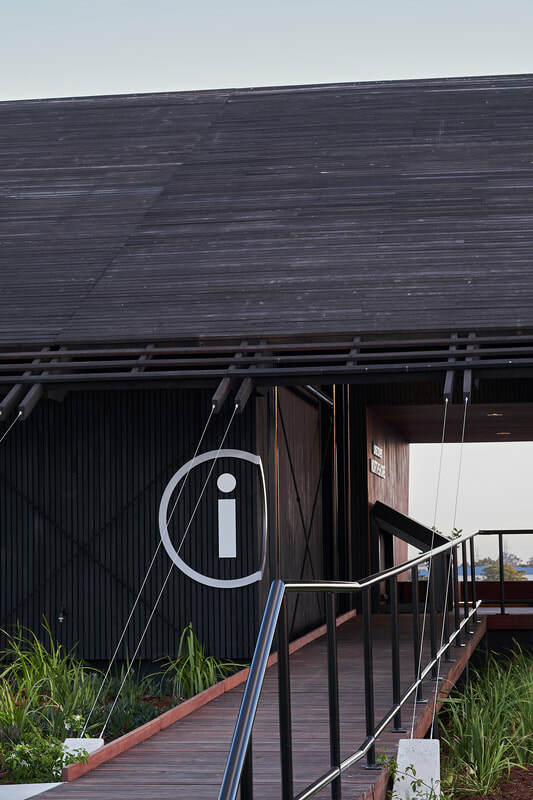 The Deck is not just an information hub built from the past that informs you about the future, a beautiful place to chill in the shade by the river, and an award-winning architectural triumph. We wrote a draft post in March.... Proofed the draft in April and then WOW here we are in December. It has been a massive year with a a few research trips thrown in for good measure! 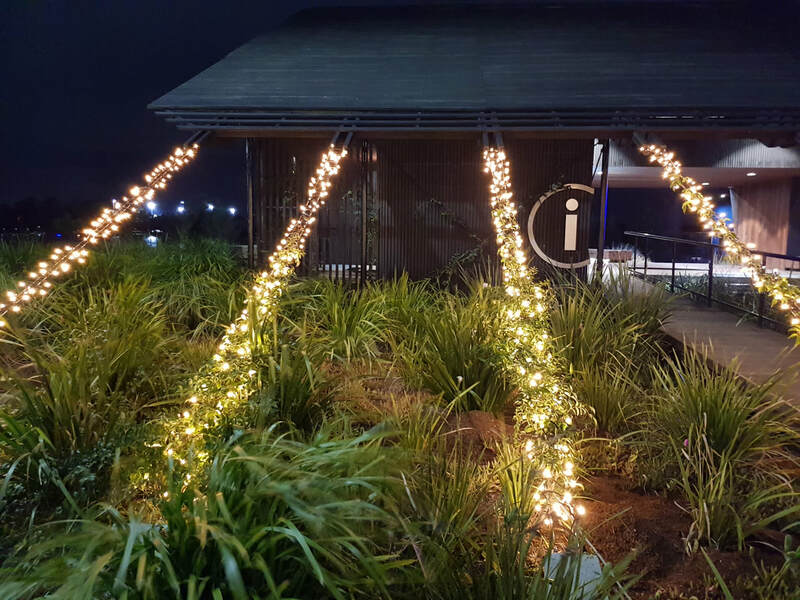 Fiona has been on the road to find inspiration and check out what the rest of the world is doing when it comes to all things signage. Check out our feed at @greenlightcreative_on_the_road We will keep adding to this insta page as we find more inspiration on the road. Lend Lease King Street Gobo Projection - using some supplied artwork from Gilimbaa we had the job of turning the work into projectable slides. They were displayed for NAIDOC week along King Street. Oracle Platinum Homes Printed Brochures - With the launch of a refreshed logo for Oracle Platinum Homes we were excited to help them redesign their product brochure of 102 pages! Sekisui House West Village Van Wrap - We had the fun job of designing a van wrap for a new moving service by Sekisui House, West village. Frasers Brookhaven Banner Mesh - We built a new fence and installed over 1.5km of new banner mesh at Brookhaven! EPIC! West Village Ice Cream Festival - 2018 kicked off with this annual festival. Although a little bit of rain threatened the day, it went off without a hitch! From interactive walls, 3D ice-creams, directional signs, maps, stickers we got to print and install it all! Satterley Smithfield Estate - Possibly the fastest job in history! We launched a new logo, 12 billboards, display village banners and new sales office signs all in just 2 weeks! It was fast and furious but the result was awesome and a breath of fresh air to this Cairns estate signage which was looking very faded. High Street Underwriting Agency - Acrylic printed staff award trophies was something very different and they turned out perfectly. We also got to manage the production of a bookshelf with a secret hidden door (not pictured as it is secret). Peet Event Signs - We did a range of corflute tent event signs for Peet estates around Brisbane. 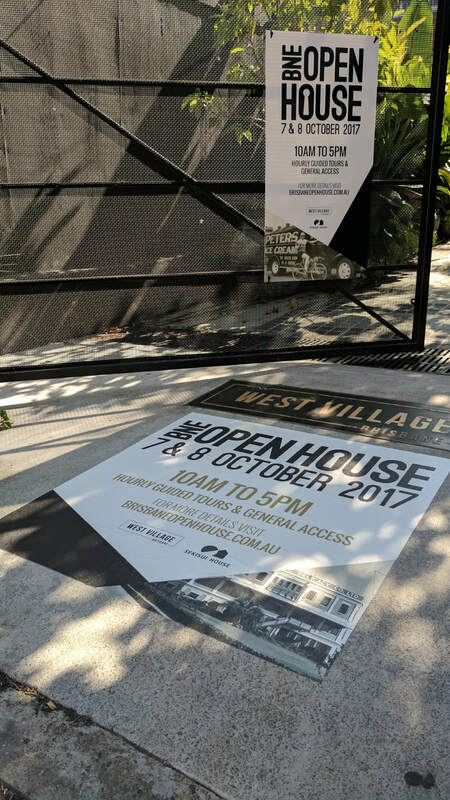 This style of sign is so good for events as they are super quick to print, easy to install and easy move around! They require very little install and can be used on grass or concrete with no fuss. ​As Green Light Creative has grown we strive to keep up company traditions. One tradition which makes us smile is our yearly gifting to charities that have affected our staff during the year. We hope that our contributions can help with research and support for people we love, as well as the greater community. We are always on the go and thought we should share our adventures with our clients so you can see what we are up to when we are not at our desks. 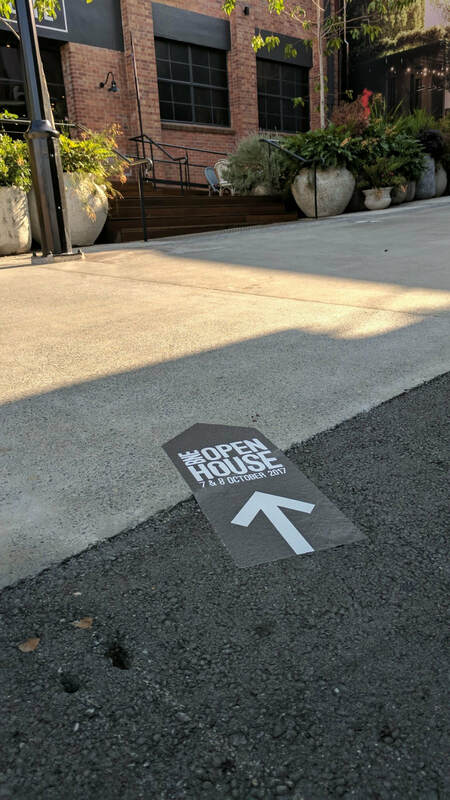 As part of Open House Brisbane 2017 Green Light Creative were briefed by the team at West Village - Sekisui House to design the signage for the Peters Factory warehouse spaces. 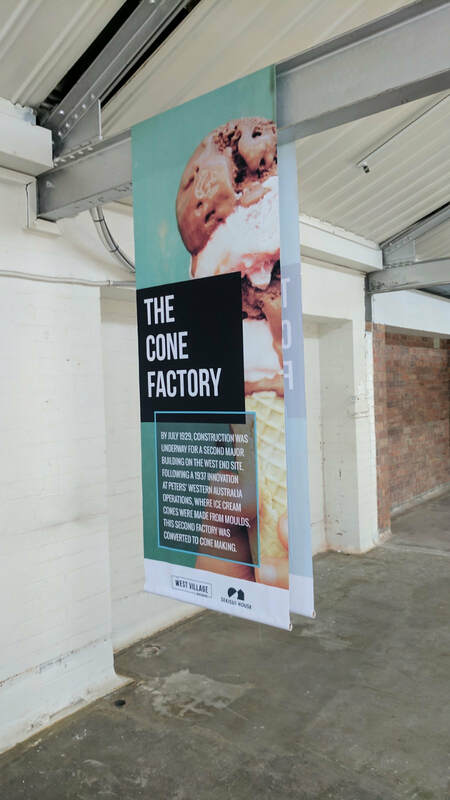 The highlight of the job were the ten informative panels that hung from the rafters in the Peters Cone Factory. 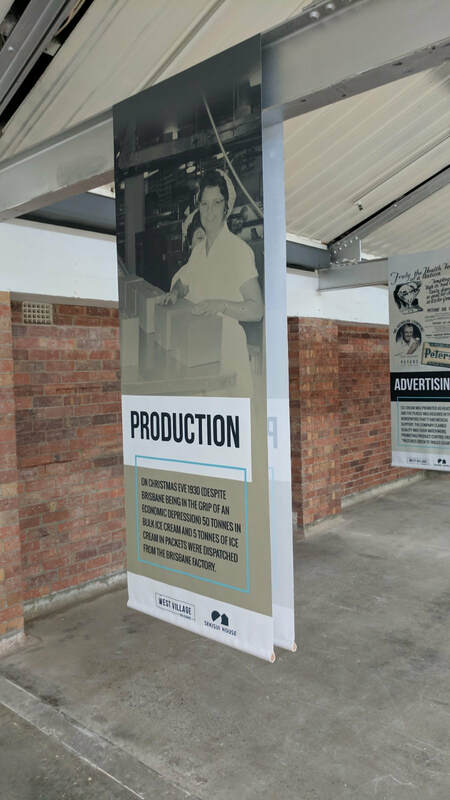 The soft banners beautifully contrasted the industrial feel and provided easy to digest information about the factories history. These panels made an interactive experience for the visitors to move though the space and the bonus is; they can be used again as they are so easy to store and simple to install! 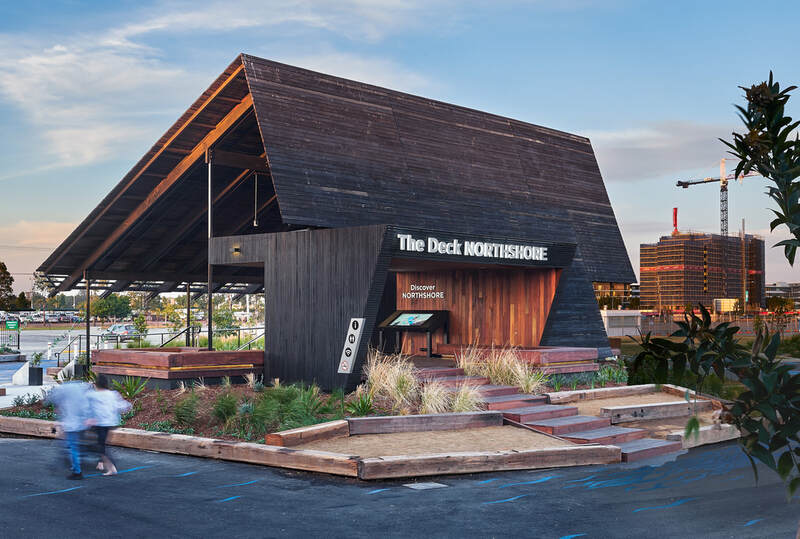 Green Light is so proud to have been involved in the Project Management of The Deck Northshore. Now open to the public it has been humbling to hear feedback about how much people love the beautiful design by Anna O'Gorman. It was a pleasure to work with Anna and builder Charles Warren and his team to bring this to life. We are also excited that M A C P H E R S O N S T U D I O has kindly shared their beautiful photos with us. You can read more about what we were involved in a blog post from earlier this year. 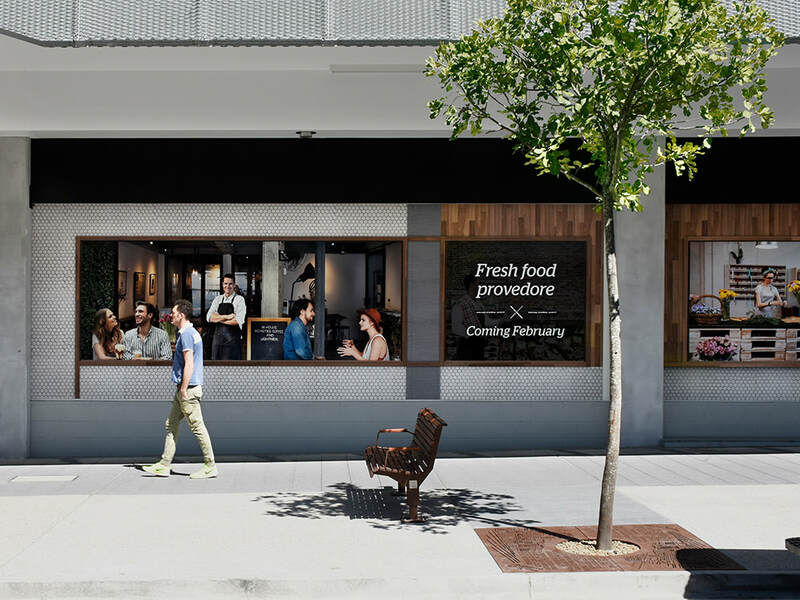 Green Light is thrilled to be part of the exciting King Street precinct. 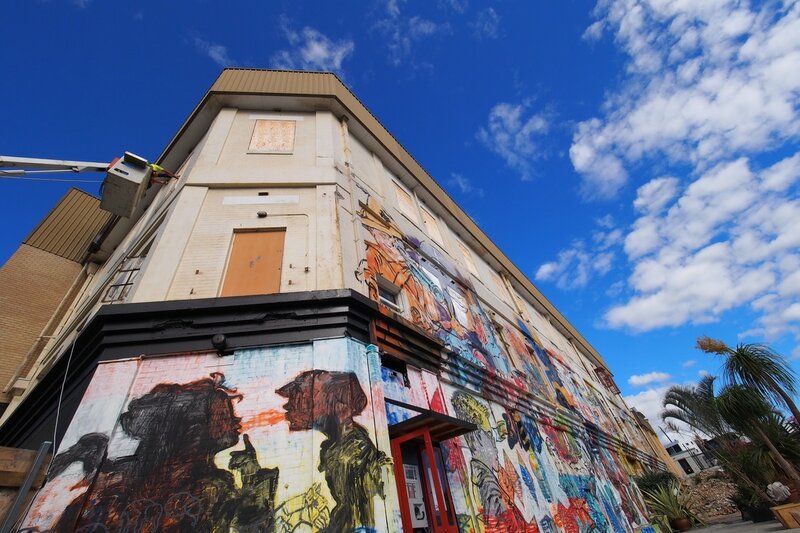 We recently had the pleasure of creating lifelike hoarding panels for The Yards building facade. Our designers spent a lot of time in Photoshop weaving together these realistic scenes to create a glimpse of how the retail spaces will be used. Check it out and make sure you stop at one of their already open amazing restaurants. A Very Big Room, Indeed. On a warm weekend in April, within a historical ice-cream factory; Bromley & Co. released a wonderland of unique objects, paintings, sculptures, and collectables to the public. The 'Bromley Room (a very big room)' Showcase of interior design was a spectacular reveal of the 12 month West Village artists in residence - whom which successfully pulled the event together in one-week-and-a-half. 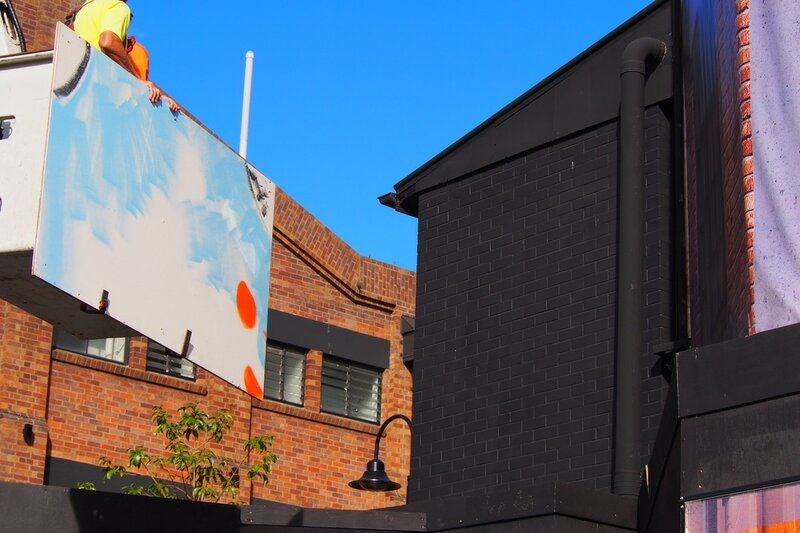 Green Light Creative, partnered with Think Business Solutions, met with David and Yuge Bromley to install the eye-catching silhouette portraits on the top level of the Peters Ice-cream Factory. 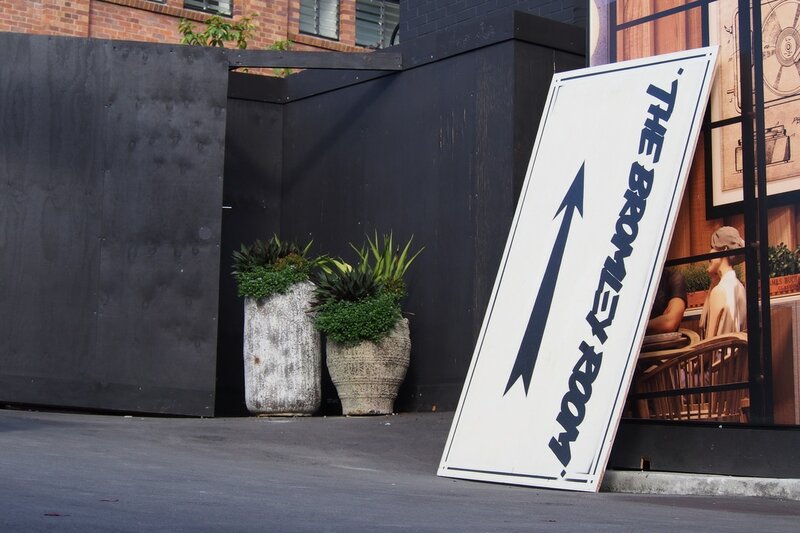 The Collection, painted on plywood boards, were entwined with directional signage (also painted by Bromley), for the launch date of the 'Bromley Room'. Come and see; Northshore, Hamilton. Northshore Hamilton is the largest waterfront, urban renewal, precinct in Brisbane. This exciting 304 hectare development is set to bloom over the next 20 years, recycling forgotten wharves into a premier precinct, blending the nautical history of yesteryear with tomorrow. 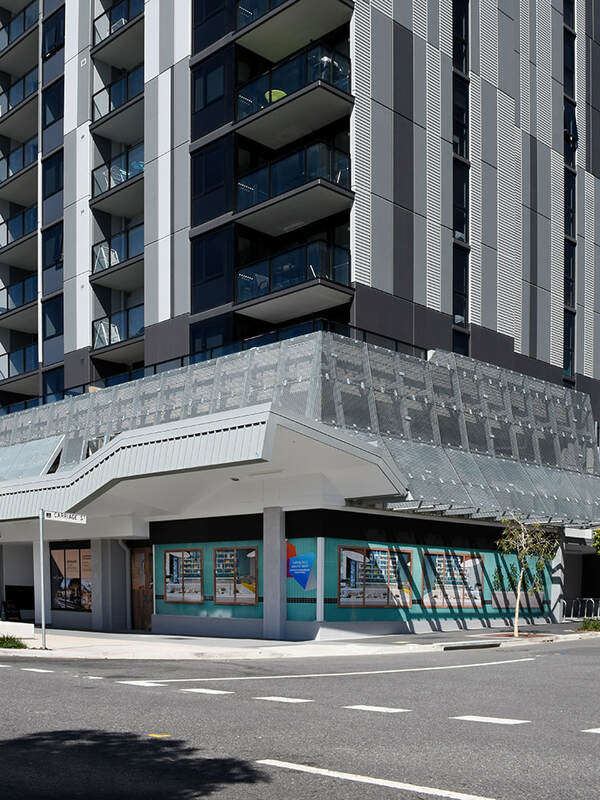 Green Light Creative have also been co-ordinating the construction of Northshore's The Deck - an exciting temporary community space, housing an interactive display that has information on what's happening at Northshore. The Deck will be opening Soon! The Final stage of Northshore will include; residential and employment opportunities, parklands, office parks, retail precincts, public and civic spaces. ​​Visit northshorehamilton.com.au to find out more!